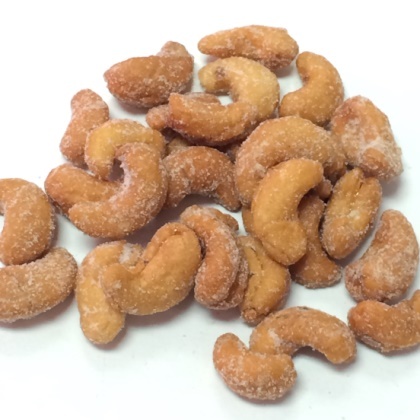 Jumbo cashews roasted to perfection then covered in a honey coating with a slight touch of salt. A best seller! Pareve certified. Approx. 16 pieces per ounce. 8 oz bag.